Wishing All of Our Family & Friends a Happy 4th of July !!! Enjoy theFun & Festivities !!!! Our Cabinetry is all all Made in America, and In Honor of Flag Day, We Proudly Display the American Flag ! Have a Wonderful Day in the USA ! We offer modern home improvement options to enhance your home. Call us today at 203-869-7266. Or Check out our website at www.rosacarpentry.com. Even small areas that may seem like wasted space can be turned into a work space! This area is a common space. The customer wanted a "bar style" work space to allow small groups to work together as needed throughout the day. The cabinets were made to match the existing cabinets in the office, with the same drawer lay out, same hardware, and a perfect color match. This work space was made to accommodate a team of 3 people. This set is more of a traditional single person work space. It provides two base cabinets and an open shelf box. We can add features like cabinets, sinks, vanities, and more to enhance your bathroom. Call us today 203-869-7266. Finished Powder Room project !! As 2016 comes to a close and Winter begins... Rosa Carpentry would like to thank you for your patronage, Wishing Everyone a very Happy Healthy & Prosperous New Year !! A Sample of the new Corian Private Collection... Such Beautiful Soft Colors... 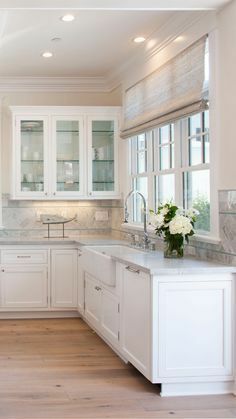 In addition to our Huge Collection of other Counter tops !! We can install custom drawers,shelving and lighting to help you optimize your closet space ! Start 2017 with Less Clutter, More Calm ! Just a reminder we are now partnered with PlusClosets !! January is a great time for a fresh start !! Organize and Simplify Everything !! Cold Weather is here!!! Brrrrrrr...... Perfect time to change out those windows to save $$$$ !!! Dodge the drafts....We can quickly replace them !!!! 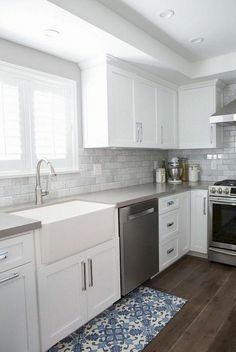 One of our Before and After Kitchen Reno Projects Just a Gorgeous Outcome we think ! 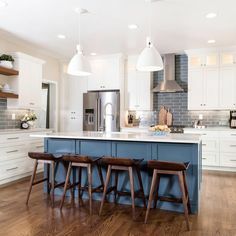 Stunning Kitchen Remodel just in time for Thanksgiving!! Just a sample of a custom kitchen by Rosa Carpentry. Schedule your complimentary consultation today. And love cooking in your kitchen!! up and ready to be painted! Marketing material ready to go for our first ever cooking demonstration with the Indian Cultural Center of Greenwich!